Kale is a super food! 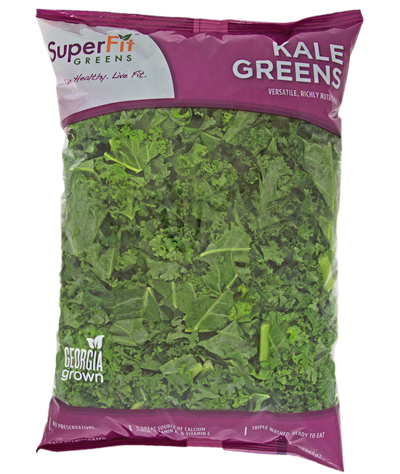 Packed with vitamins and minerals, but low in calories, kale is an amazing vegetable to include with any meal. A cousin to collard greens, and also a member of the cabbage family, kale provides a long list of vitamins, antioxidants, and fiber that fills you up while keeping the calorie intake down. In addition to its many other health benefits, kale has also been found to lower the risk of many types of cancer. Kale can be prepared in a number of ways to savor its unique, mouth-watering taste. Steaming will bring out the flavor and leave in the nutrition. Kale can also be enjoyed in a salad or as part of a healthy sandwich or wrap. Kale chips are a popular, tasty treat that are easy to prepare and fun to eat! Anything! Throw it in your smoothie, soup, salad, or hamburger mix.